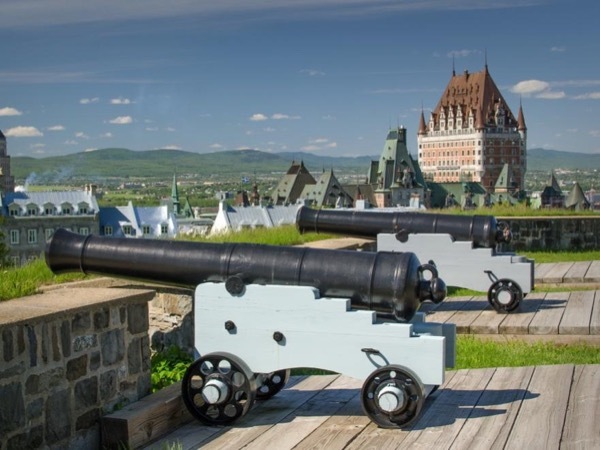 Traveler Reviews for Private Tour in Québec City, Quebec, Canada by Tour Guide Shadya K.
Shadya was tour guide in Quebec, Fabulous job. She deserves the highest rating 5 excellent. Would highly recommend her. TOUR GUIDE RESPONSE: Wow... and so you deserve a 5 stars for best travellers ! ;) Thank you Paul! First I was so disappointed that I couldn't go due to the weather but my husband said he had a really good time. Shadya his guide was friendly, very knowledgeable and lovely. He had a great time even if the weather wasn't that good and got great pictures. He said it was well worth the money. Shadya was a very fun and personable guide. Our cruise ship was late letting disembark, but she made sure we saw everything and really enjoyed all her fun little secret stories. Quebec is a charming city with lots of beautiful architecture and interesting history. Really enjoyed this couple hours we had to explore along with Shadya. Shadya was a delight. She made the Quebec tour a highlight of our vacation. Her knowledge and enthusiasm created a lively history of Quebec. She is a teacher and she included fun information that my granddaughter (5 years old) especially enjoyed. I have to use a cane and the walks were designed with that in mind. Our vehicle was just right for the 4 of us and we were able to go places that were not available to tour buses. We are two couples from Rhode Island who are great friends and were celebrating our wedding anniversaries with a trip to Quebec City. Shadya, a native Quebecois, was excellent as a tour guide. She is a storyteller who describes not only the sites we were visiting but embellishes with true tales about the area and/or person involved with the area. She is very personable, witty, knowledgeable and will make your tour with her memorable. "Nous avons beaucoup apprecie Shadya"
TOUR GUIDE RESPONSE: Thank you Denis! Not only your French name, but I was feeling like part of the family! and yes... all my stories are thrue ;) I also appreciated time and laught a lot with you all! TOUR GUIDE RESPONSE: Thank you, it was great touring with you! We thoroughly enjoyed the time we spent with Shadya. She was very friendly and personable as well as very informative. She really knows the city and the stories behind the history. This was our first private tour and it was well worth the cost. Shadya discussed the proposed tour plan with us and we were able to customize it to suit our taste. She picked us up at the cruise terminal and dropped us off in Old Quebec so we could continue to shop and explore on our own. TOUR GUIDE RESPONSE: Thank you Karen & Darell... I had a really great time to know you while showing you the city... and this so good lunch we had on little champlain street, thank you again! Thank you Shadya for a wonderful tour of the Best of Quebec. Easy to communicate with, super friendly and kind, great stories that make the history come alive. Thanks especially for your sensitivity to our limited mobility needs.